Singapore parents may not have to worry about one of the frequent parental alienation tactics practiced in the United States. The city-state is half the land area of the City of Los Angeles, California, so move-away ploys to yank a child away from a parent to hundreds or thousands of miles away are not as common. Aside from this difference, everything else going wrong in the United States with governments and courts enabling and engaging in parental alienation child abuse is also happening in Singapore. Cheng has put up his own parental alienation web site discussing his experiences and thoughts about parental alienation. There’s also a Facebook page for alienated parents in Singapore to which Cheng contributes heavily. Despite what appears to be obvious anti-father sexism in Singapore, Wee Cheng understands there are mothers who are being alienated from their children by sociopathic fathers, too. He’s highlighted some of their stories in his own articles, including the story of Jill Egizii who has been alienated from her four children. Some of you might have seen the below letter on my post a while ago. For those who have not, I just wish to share with you this letter that I had written. It is to express my deep concern on the Family Court’s decision of blocking me from my son’s life for 6 months, and the consequent negative impact it is now having on him. I emailed this letter to all the 4 major local English papers but none of them is willing to publish it. – and also cc to MCYS and all its ministers. Lately MCYS has been promoting the nationwide “Dads For Life” movement, emphasizing the importance of fathers in children’s life. I am a divorced parent with joint custody of my son. However, due to changes in rulings of the Family Court and blockages from his school, I have been excluded from his life in every way. I doubt these actions of the school and the Family Court are in any way close to even supporting this movement. Since the divorce, my son has been brainwashed by his care-takers to build hostility against me. A letter was then sent to his principal, claiming he was “traumatized” by me communicating with his teachers. Consequently, the principal demanded me to stay away “in the best interest of my son”. They also evaded all information pertaining to him from me. In November 2009 at their school carnival, his class teacher even warned me to stay away or they will engage security force against me. Though I have a right to see my son, I complied with their demands to avoid an unpleasant scene. I used to have 8-hour weekly access to my son, but it was reduced, and recently even suspended for 6-months by the Family Court claiming it was “in his higher interest”. 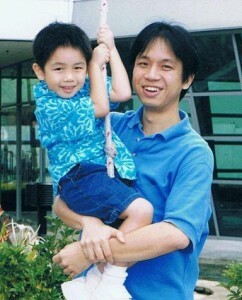 Without his father’s presence, it affected my son who used to be a top achiever. His recent grades have deteriorated tremendously, and needs to attend extra lessons specially catered for him. Much as I want to help my son with his PSLE examinations, I cannot even do so as a father. 1. How is the 6-months suspension of my presence in my son’s life in his “higher interest”? Now that he has suffered severely in academic performance, may I ask how has that decision made by the Family Court benefited him or his examinations? 2. The school and the Family Court are constantly barring me from my son. May I ask what are they protecting him from? Is his father a convicted criminal? 3. I have been very obliging whenever asked by the school to stay away. But why wasn’t I even informed when my son’s grades are deteriorating? It pains me as a parent to see my child struggling and I am not even allowed to be there for him. All I ask is access time with him to help in his examinations, and to offer him love and support during this crucial time of his life. Is a father’s involvement in his child’s life too much to ask? Isn’t this exactly what the nationwide “Dads For Life” movement has been calling out all fathers to do for their children? Our children today spend a very large proportion of their time in school. Their years in school represent the time that they are most easily shaped by their environment and the people around them. Their values, attitudes and perspectives are formed and set for life. Fathers must play our part, in partnership with the schools, to create a conducive learning and nurturing environment for our children. MCYS’ Survey of 218 Principals and School Administrators on Parental Involvement in Schools last year showed that the schools also agree on the important role of fathers. The schools told us that a father’s involvement is beneficial to his children as he serves as a role model. Wee Cheng is clearly a father who wants to spend time with his son. Yet the government and courts of Singapore conspire with his alienating ex-wife to ensure this will not happen for son Adriel Cheng. If Signapore’s government was honest about its intent and practices, it should subtitle the so-called “Dads for Life” program with “subject to moms’ veto” to make its rhetoric match reality. Children have an intrinsic human right to spend time with both their parents. Such access should be encouraged in nearly every case, even when a parent is imperfect, so long as the child will not be subjected to immediate physical danger. Children also have a right to not be subjected to brainwashing to make them hate a parent. Parental alienators and their many accomplices violate both of these rights and should be viewed as the child abusers they are. Society has a responsibility to nurture and protect children. Obviously it is failing to meet its responsibilities in regards to alienated children. Yet the failing is much deeper that this. In most cases, parents who are being put out of touch of their children due to interference by the other parent, courts, law enforcement, schools, and other assorted accessories to child abuse are perfectly capable people who have adequate parenting skills. No parent is perfect, but in the case of alienated parents often their biggest mistake was to have a child with a sociopathic individual who appears on the surface to be pleasant and attractive but underneath is a abyss of deceit, manipulation, and destruction. Given how schools uniformly fail to train children in psychology and government not only fails to protect children from abuse but actually abuses them itself, the mistake these parents made was all the more likely due to a combination of failures to prepare children, including both the target and alienating parents, for successful lives. They lacked the knowledge and experience to identify and cope with people having such destructive personality characteristics in part because of inadequate schooling. I’d be surprised if you can name one school anywhere in the world that adequately teaches children about child abuse, emotional abuse, and abusive relationships, no matter its exclusivity or cost. If you can, please leave a comment — I’d love to hear about any such program for kids and to help spread the word about it. The parents with such sociopathic behaviors usually developed them for similar reasons involving a societal and familial failure to protect and nurture children. They were often abused as children and developed life-long mental health problems that make them a menace to others far worse than many criminals who are prosecuted and incarcerated for months or years for their crimes. A shoplifter, burglar, or even car thief doesn’t create anywhere near as much damage as a parental alienator engaging in moderate to severe alienation behaviors. Such common criminals might steal your property. Your property can be replaced, and your peace of mind can be at least partly restored by adding locks, alarms, seeing a therapist, and the passage of time. But alienators will take your child and abuse him or her with the venomous poison of denigration and brainwashing. In the process, they created vast amounts of psychological and financial damages for most children and parents who are targeted for alienation. This damage will persist for a lifetime in many cases, causing children to have trouble having successful loving relationships. Many such abused children will end up becoming involved in parental alienation again, either as target or alienating parents. Many of us focus on the courts as being the problem and potential solution for parental alienation. But when you consider why children grow up to be alienating adults and why other adults have kids with them, it is clear that schools have an important role to play in stopping parental alienation. Children like Adriel Cheng should have schools that look out for not only their present interests to have both parents in their lives, but also to help educate them to ensure they do not become alienators or get entangled with sociopaths in the future. Clearly the Singapore schools are not meeting this responsibility. As usual Chris, you wrote another amazing article. Wee Cheng is one of my dearest FB friends. I read Wee’s posts every day. I am so pleased that you wrote this article. No one judge in any country should have the authority and power to take a child out of the life from one of their biological loving parents’ equal custodial timeshare without a jury trial. Globally, our family court judges strip of us of our rights to even see our children with a “one man vote”. This is so wrong. Our courts are financially incented to deny us of our parenting rights and custodial timeshare because they receive matched government funding pursuant to Title IV D of the Social Security Act (in the United States) when they give a child to one parent and deprive the other parent of equal custodial timeshare. I will work with others to repeal and rewrite Title IV D.
I simply pray that I will live long enough to help achieve reform and due process in our family courts, nationally and globally. The pain from being alienated from your own children is the cause of hundreds of thousands of parental suicides and homicides annually. I have been inhumanely alienated from seeing my two younger children Jenna and Jaymus now for three years – all due to fraud, impersonation, intrinsic fraud and public corruption in our L.A. Family Courts. The pain is barely tolerable. I am so proud of Wee Cheng. I wish that there was something that we could do to influence the Judge presiding over his case. I also wish that someone would talk to my judge, Thomas Trent Lewis and let him know – “Enough is Enough.” “We have had enough”. Thanks again for writing this outstanding article! Thanks for the compliments. Please let us know what more we can do to help get your story out and put pressure on the LA courts to stop their abuses. Although it is clear they are quite intent on violating the rights of others (just look at what they have done to Richard Fine), if the voters understood how likely they are to be abused if they ever end up in court, maybe they would vote out the current judges. Sometimes I wonder if the abuses governments all over the world are engaging in against children, parents, and families will produce an effect of the persecuted citizens banding together against their governments. As far as family law is concerned, the US government is no better than the authoritarian governments in other countries. It may actually be worse. While we have little visibility into family law in some of these supposedly more authoritarian nations, I know of some people in China who have gone through divorces without nearly as much damage as the US inflicts on families here. China may repress political dissent, but if the little bit of information about divorces there compared to those here and in countries like Singapore, Canada, UK, etc. is representative, families of divorce in China are better off than they are here. Their system isn’t perfect, either, but it doesn’t appear to focus on extended duration terrorizing and financial victimization of families to pump up legal fees and court job security like the American system does. My case is once again with the CJP, the Governor and D.A. Cooley. Copies of my complaints have been copied to Leslie Dutton of Full Disclosure Network, Tom Fitton of Judicial Watch and D.A. Kamala Harris, Mr. Cooley’s opponent for Attorney General. I would be delighted to send you a PDF and/or JPG file on my case. As I am sure you know, I am Richard Fine’s co chair. I just do not want to end up like him. My case of judicial corruption and embezzlement ($53,342.54) of my personal money by the court is in the hands of the CJP (Sonya Smith, Esq.) this very moment. My opposing counsel is Stephen Kolodny, Mel Gibson’s counsel. I would love to send you a package – just in case I end up incarcerated on a contempt charge like Richard. If you E- Mail me ([email protected]) and give me your address, I will send you the package (with disks) this week. If my Judge is not suspended by 9/28/10, I will end up like Richard Fine. The game has already been rigged. So, please E-Mail me with your address so that I can get a package out to you. I have already filmed one segment with Full Disclosure regarding my case. I look at it as an insurance policy just in case I disappear – like Richard. Take care and keep up the great work! You should join me on Facebook, Janette M. Isaacs. Take care and keep up the great work! I feel really glad but sad to hear your stories. I would like to share my stories with you guys too. My son was taken away by MCYS through court enforcement order after the fifth day he was born. In the first two years, I was allowed to visit my son on every fortnight for 1 hour. And after the third year, the allowed contact was every week for 45 minutes. During this 5 years, I’ve been applying for outings, home leave, and New Year leave but I was rejected again and again. In fact I’m an ex child abuser, but my Obsessive Compulsive Disorder condition has been gradually getting better after my son was born. Before this, I was charged with child abuse. But that was several years ago. The child’s mother instigated me to whip her daughter and I committed the offense on her behalf. I had already paid a price for it in jail, why did MCYS and the court unanimously sentence me to lifelong punishment? MCYS will continue to place my son under the foster care of MCYS until he has reached 16 years old. My friend had waited for 13 years for her children to come back by her side, but she was found dead at home by the police 5 days ago. Family broke up! Alas! Another family tragedy caused by MCYS. So is this the ending MCYS has been yearning for? I am sorry to hear about your case. Perhaps you wish to join my FB page or add me as a FB friend so that we can stay in touch?